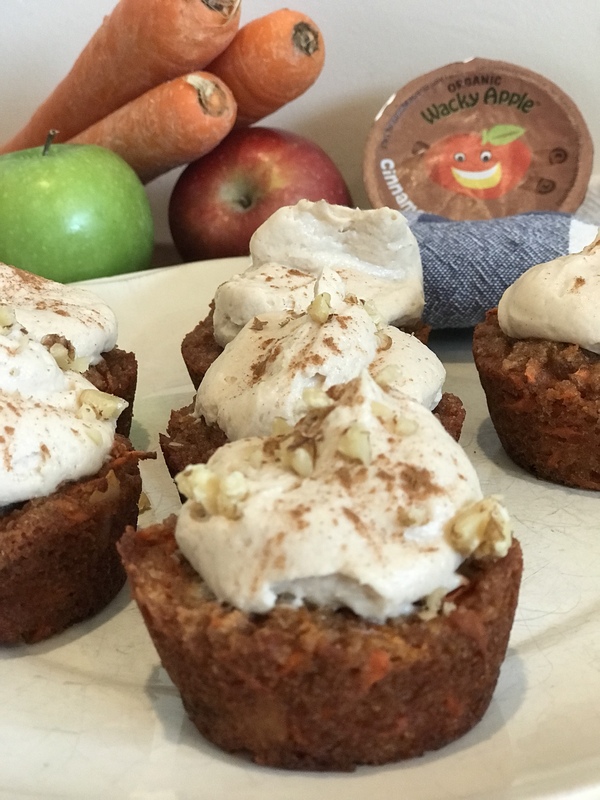 These carrot cake cupcakes left out the processed flour and refined sugars but we can promise you that they are just as delicious as their sugar loaded counterparts. 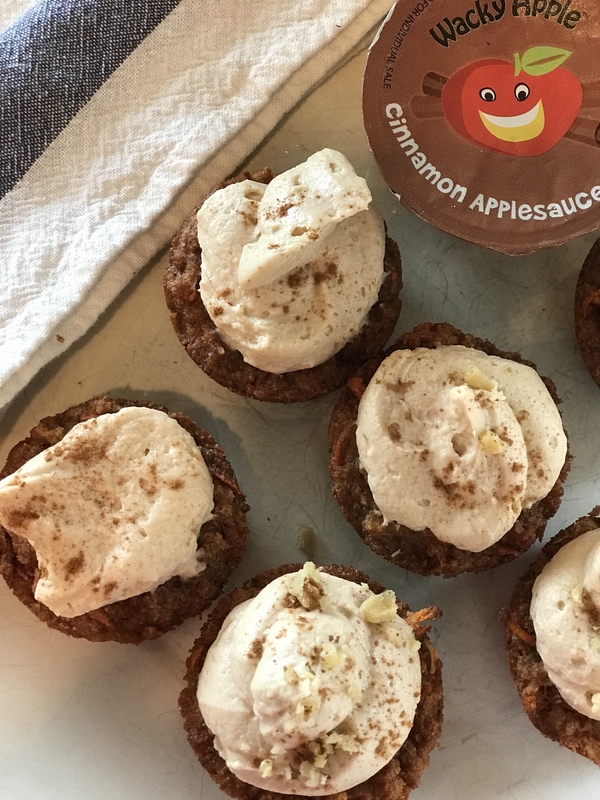 Made with almond and coconut flour and naturally sweetened with honey and applesauce, topped with a simple cream cheese and pure maple syrup frosting. They literally melt in your mouth. If you are looking for a healthier dessert option, or are gluten free these won’t disappoint. 1	Preheat the oven to 350°F. Line a muffin tin with 12 muffin liners or grease a muffin pan with coconut oil. 2	In a medium bowl, mix together the dry ingredients (almond flour through nutmeg). Set this aside. 3	In a large bowl, mix together the eggs, oil, honey, applesauce and vanilla. 4	Add the dry mix to the wet mix just until combined and then gently fold in the grated carrots. 5	Divide the batter evenly among the liners and bake for 17-20 minutes or until a toothpick inserted in the middle comes out clean. 6	Let the muffins cool for 5 minutes in the pan and then remove to a wire rack to cool completely. Do not frost until completely cool! 7	For the cream cheese frosting, add all ingredients to a bowl and blend with an electric mixer on medium speed for 2-3 minutes or until whipped and fluffy. 8	Spread a thin layer on top of each cupcake or pipe it on.